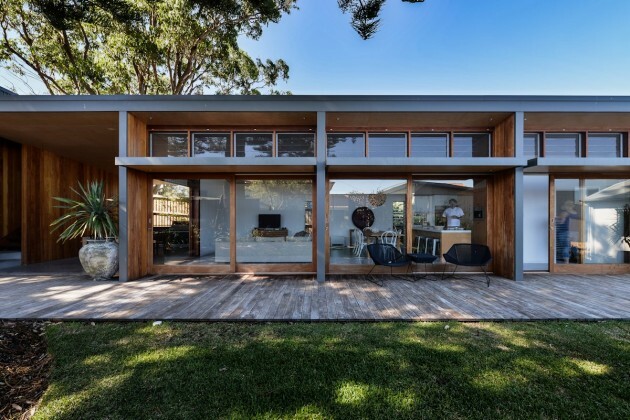 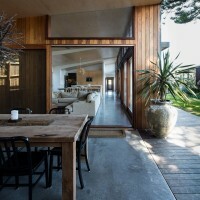 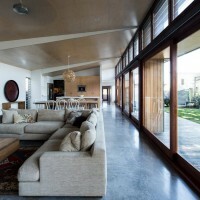 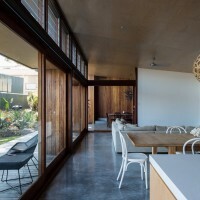 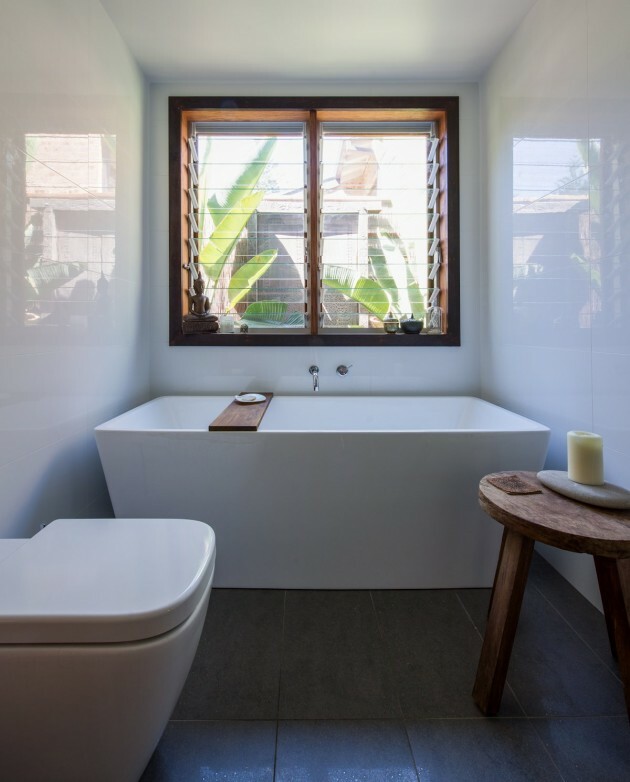 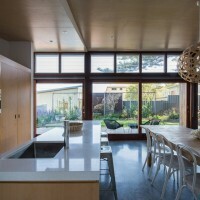 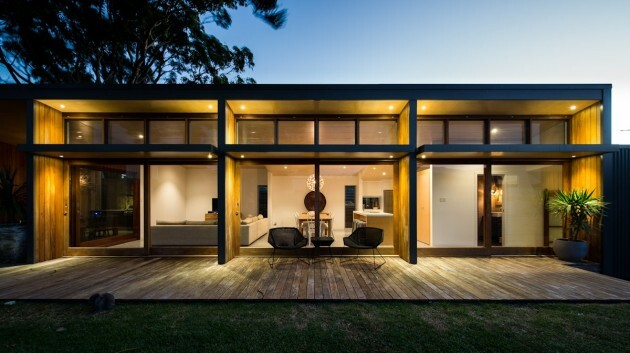 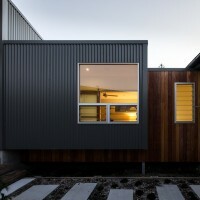 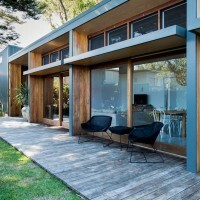 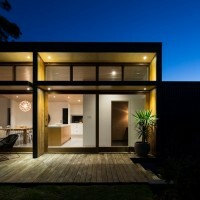 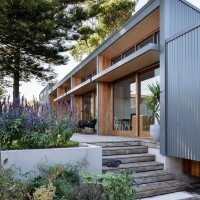 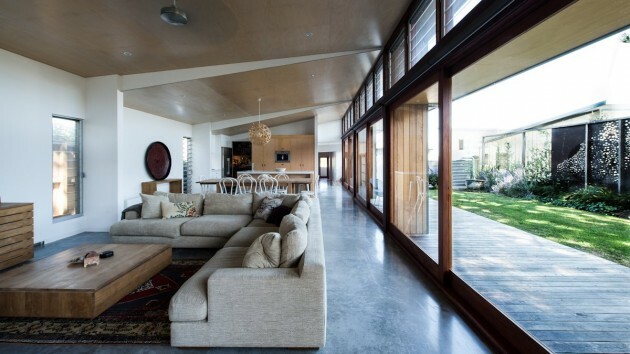 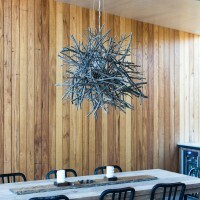 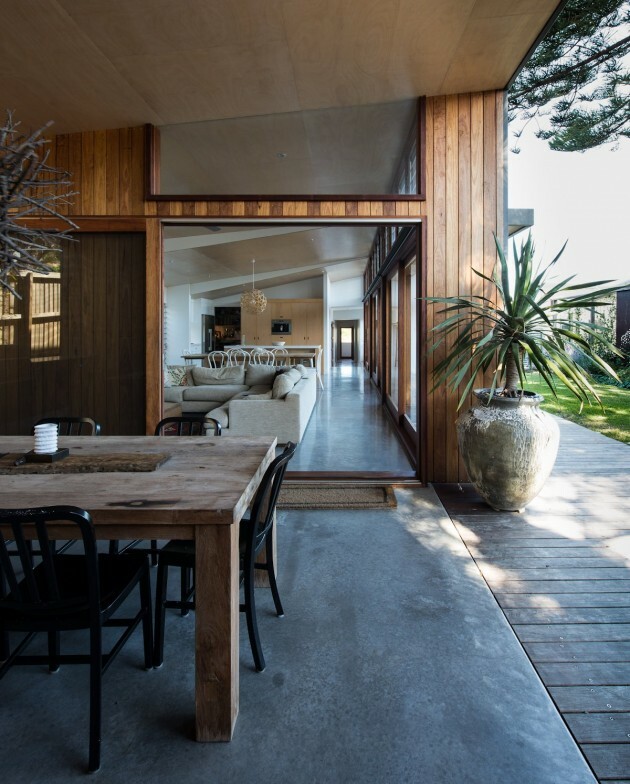 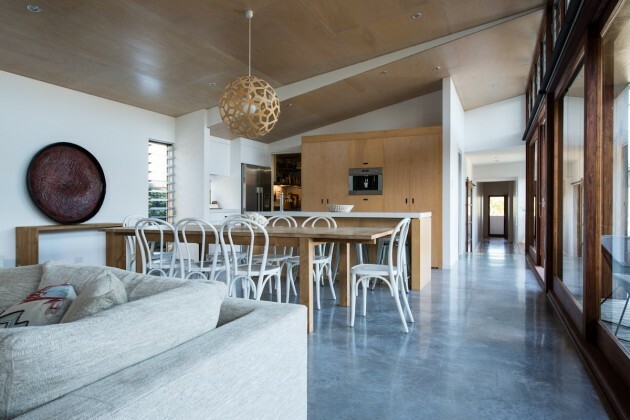 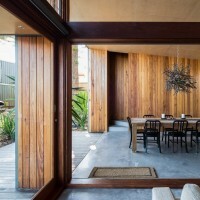 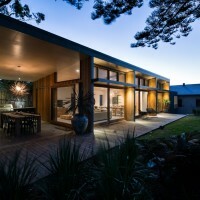 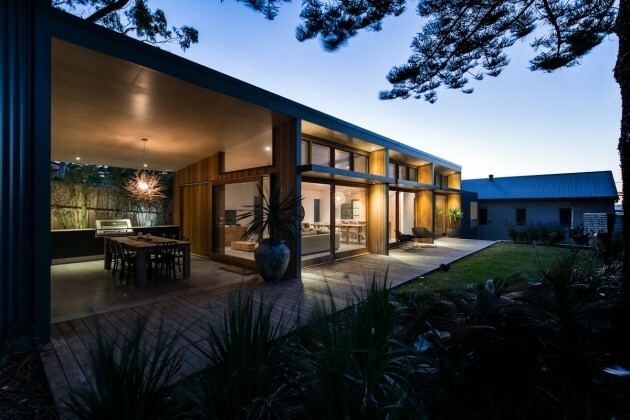 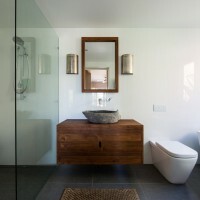 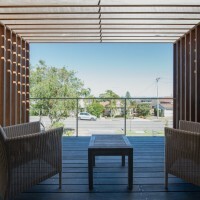 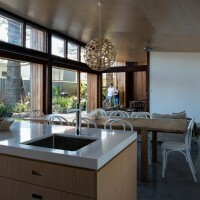 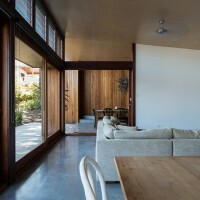 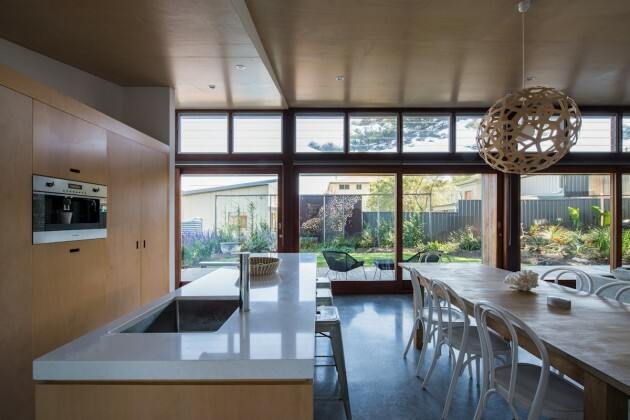 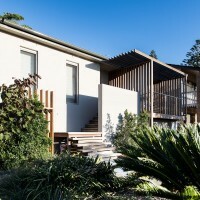 Bourne Blue Architecture have completed the renovation of a house near Newcastle, Australia. 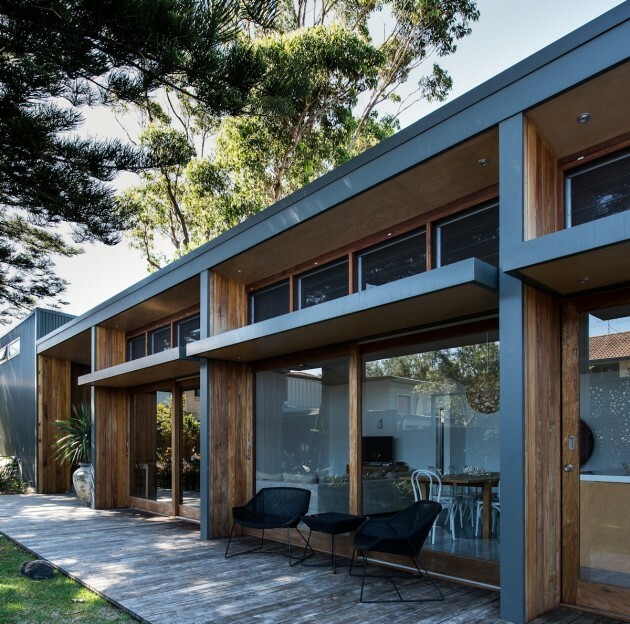 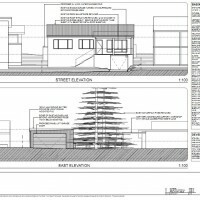 This project at the coastal village of Redhead (near Newcastle, NSW Australia) was on a large suburban block, that runs East to West, gently sloping to the rear. 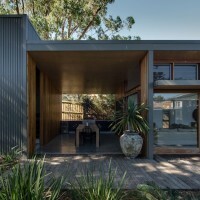 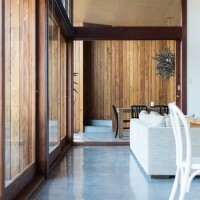 A small seventies project home existed on the site, orientated North – South, with poor environmental performance and minimal connection to the substantial yard. 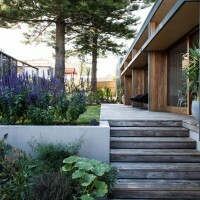 Towards the rear of the yard in the North-East corner are two large Norfolk Island pine trees. 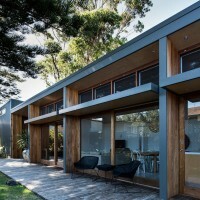 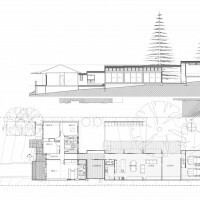 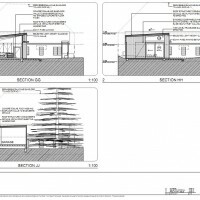 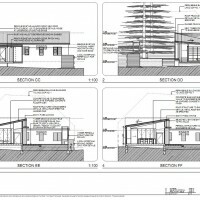 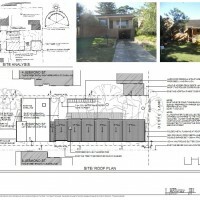 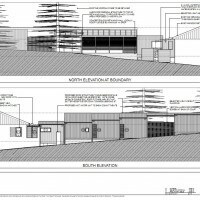 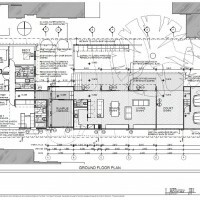 The strategic approach with the design was to convert the original living areas to main bedroom and facilities, then add a wing running towards the rear boundary, pushed to the Southern side of the yard. 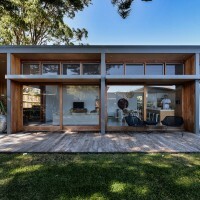 This wing opens completely to the grassed yard and houses kitchen, eating and living spaces and with large Northern sliding glass doors attracting good winter sunlight along it’s long side. 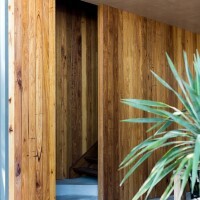 Small openings are introduced into the Southern wall for ventilation. 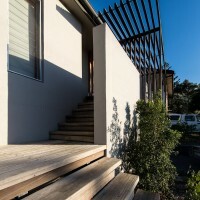 The garage, with access off a rear lane is the termination of this wing, and a roofed barbeque area is created in the gap between garage and house. 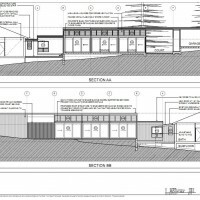 The roof forms pitch up towards the North, to provide space for high level louvre windows, to encourage ventilation on hot days. 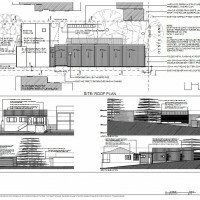 Roof water is collected in tanks for re-use on site. Hoop pine plywood is used extensively both as a joinery material and a ceiling lining. 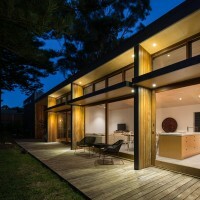 Lighting throughout is LED low energy. 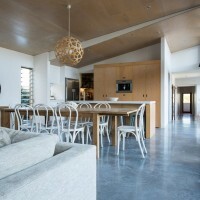 Flooring is clear finished concrete. 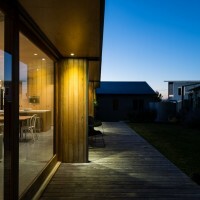 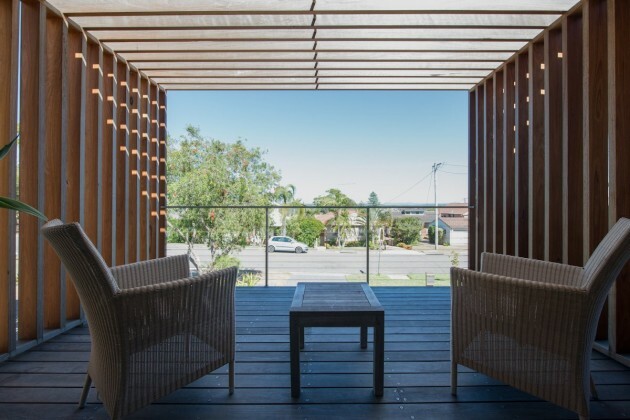 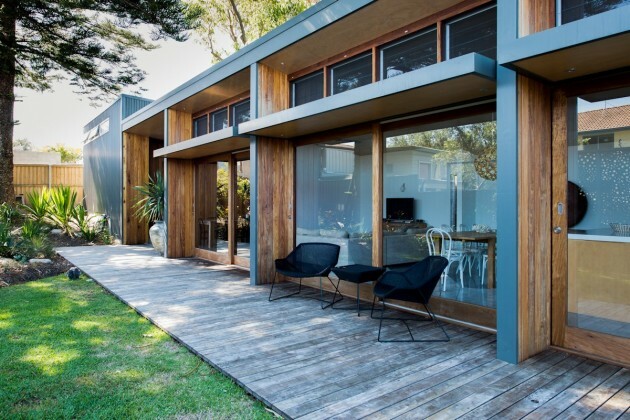 Timber cladding is Australian Hardwood, metal cladding is Custom Orb Colorbond.